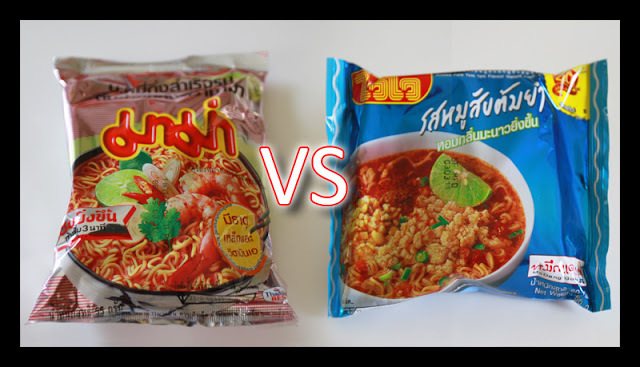 ‘Mama’ and ‘WaiWai’ are both top selling brands of instant noodles in Thailand and ‘Mama’ has been the universal term for Thai people to refer to any instant noodle. 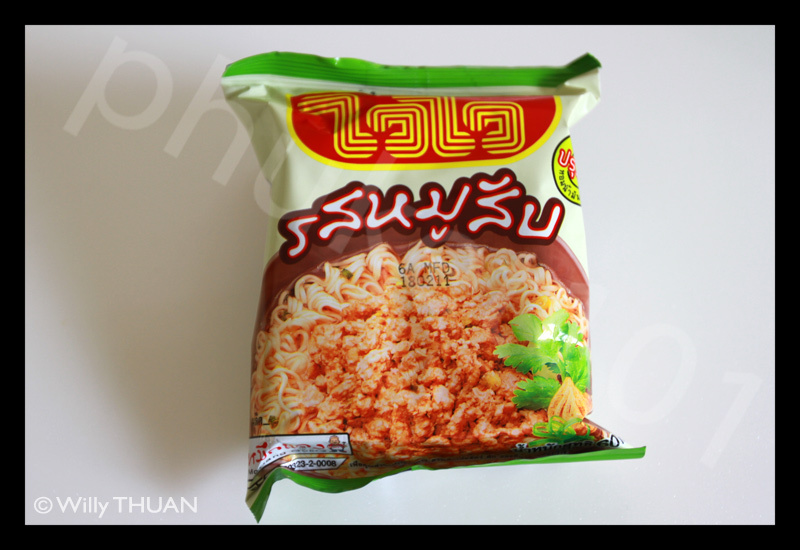 Some love WaiWai but still refer to it as ‘Mama’. 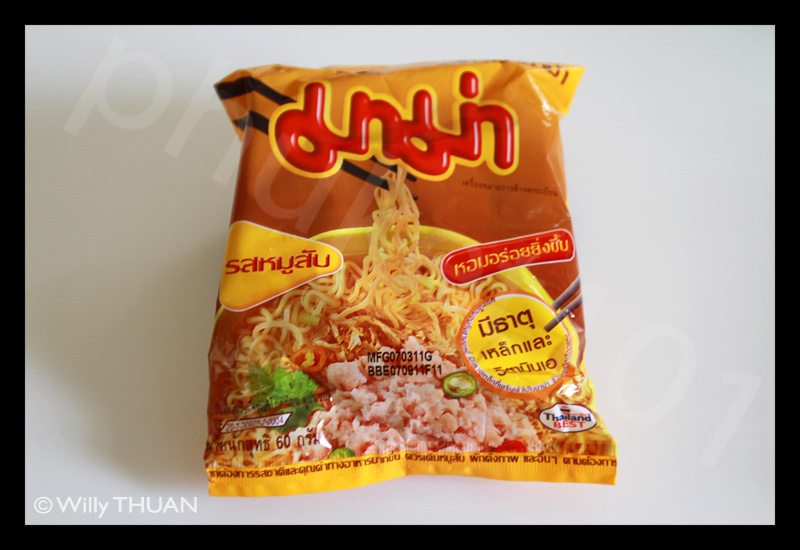 The way people eat Mama is usually like any other instant noodle. 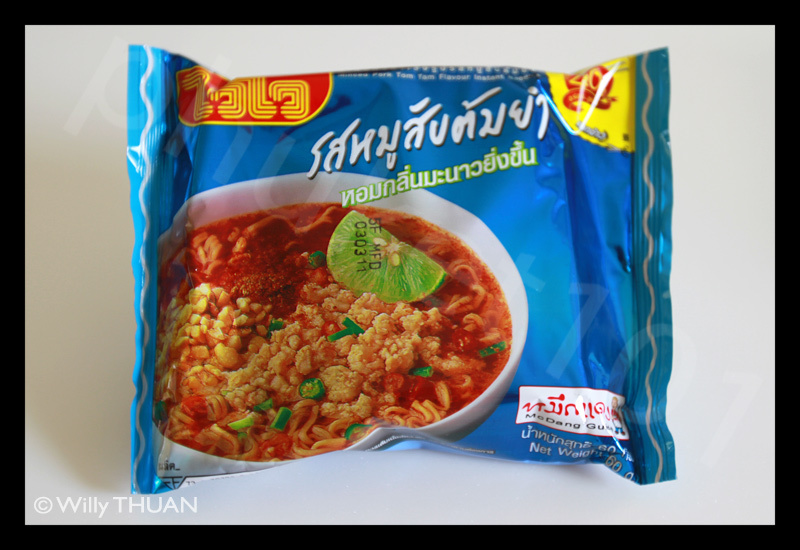 Pour hot water, empty the small tasty sachets into the bowl, cover, wait three minutes if you can, and eat. But the other ‘not so usual’ way we also like is to snack it dry and uncooked! But the health department probably wouldn’t approve of this so we are not going to tell you how tasty that slightly salted, crunchy noodle is. 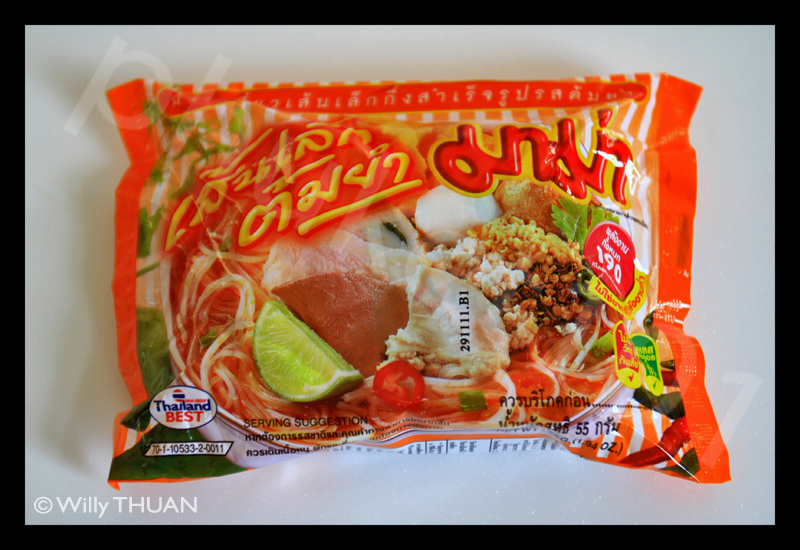 Now – the other nice way of cooking mama noodle is as a Yum Mama or Larb Mama. These are Thai style, spicy Mama salads. 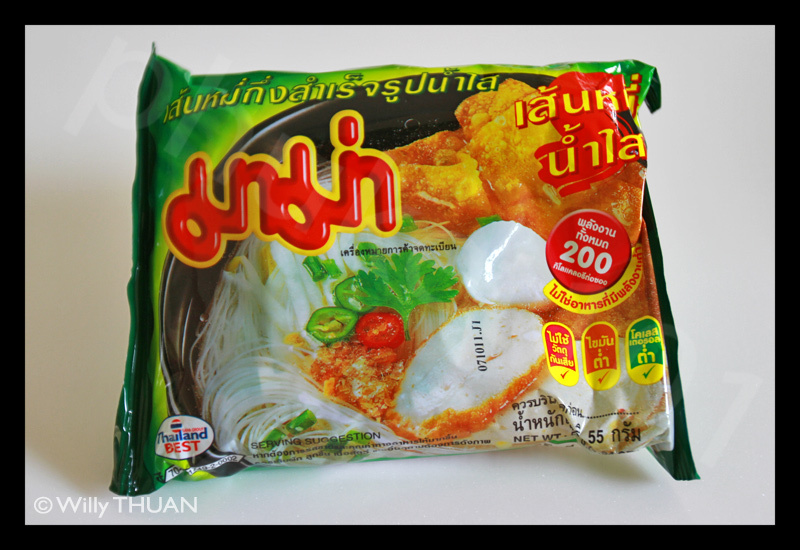 The easiest place to try this is at Yum Saap Restaurant which is located at most shopping malls all over Thailand. In Phuket there’s one at Central Festival Phuket. 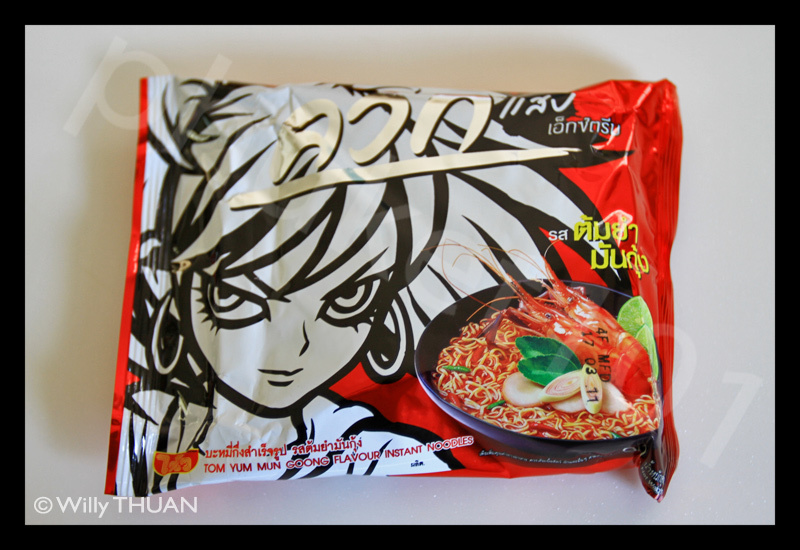 Yum Saap actually serves a large variety of dishes made from Mama noodle. 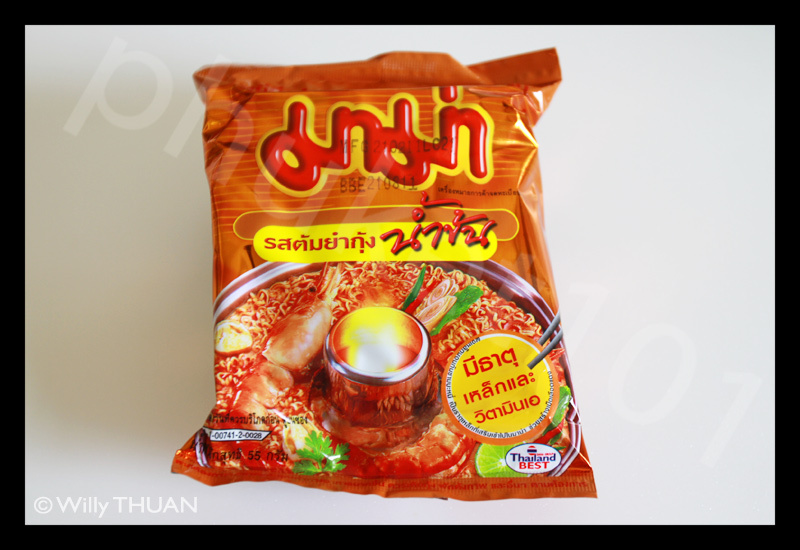 One last thing – a pack of Mama or WaiWai found outside Thailand tastes totally different. 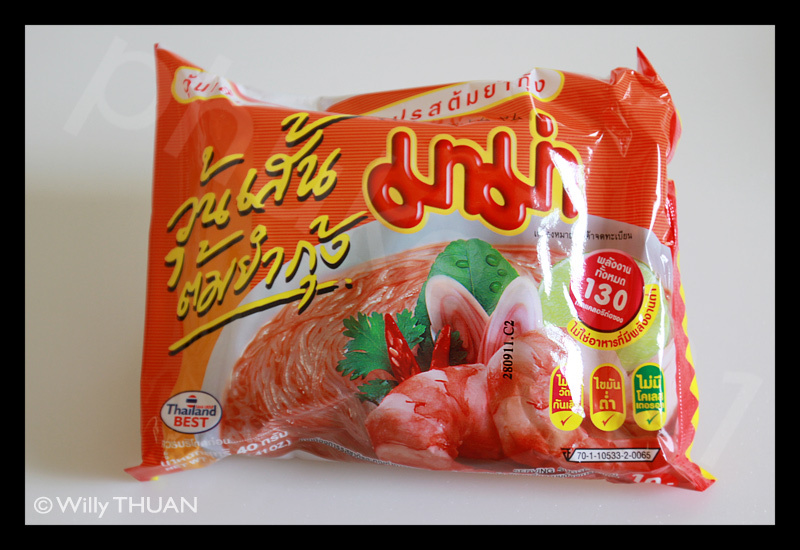 I guess the fact that Thai people snack the noodle on its own means that the noodle will have to be tastier. 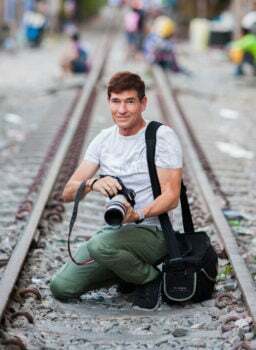 You just have to try! 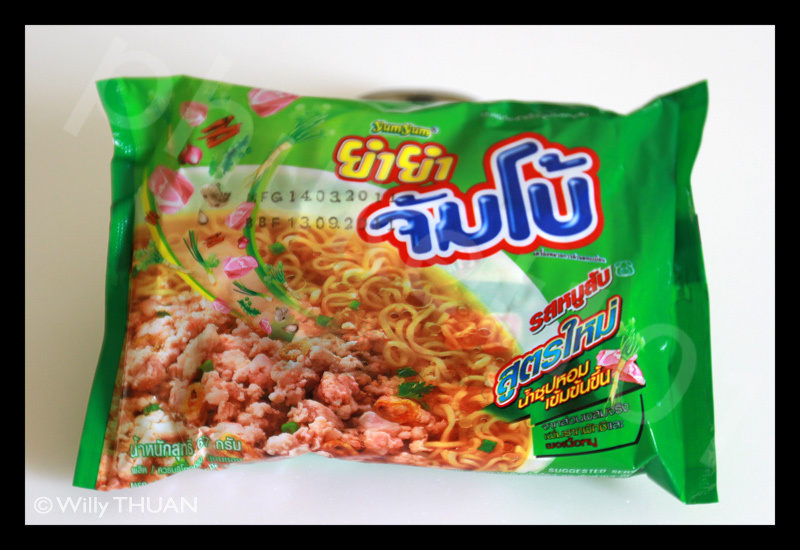 The bestselling one is the silver pack Mama Tom Yam Goong but I personally like the original WaiWai Moo Sub – minced pork flavour. 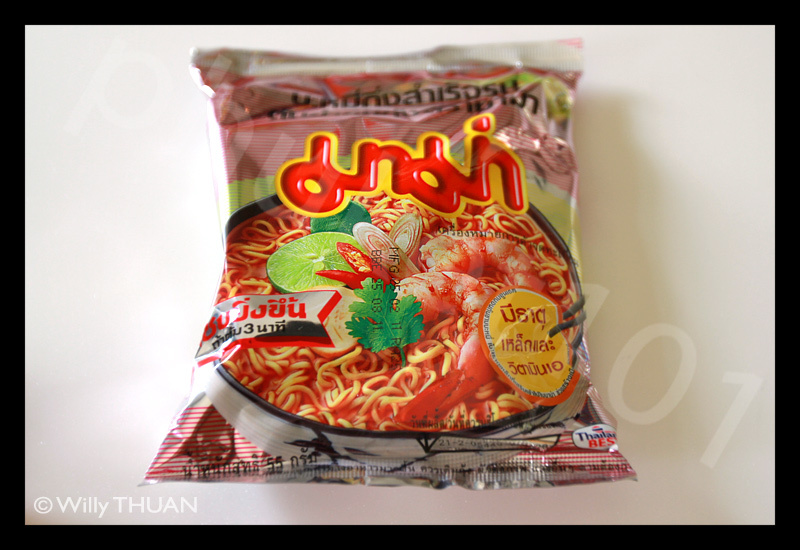 A pack of Tom Yum Mama costs about 6 or 7 baht and there is probably at least one pack of instant noodle in every Thai house.